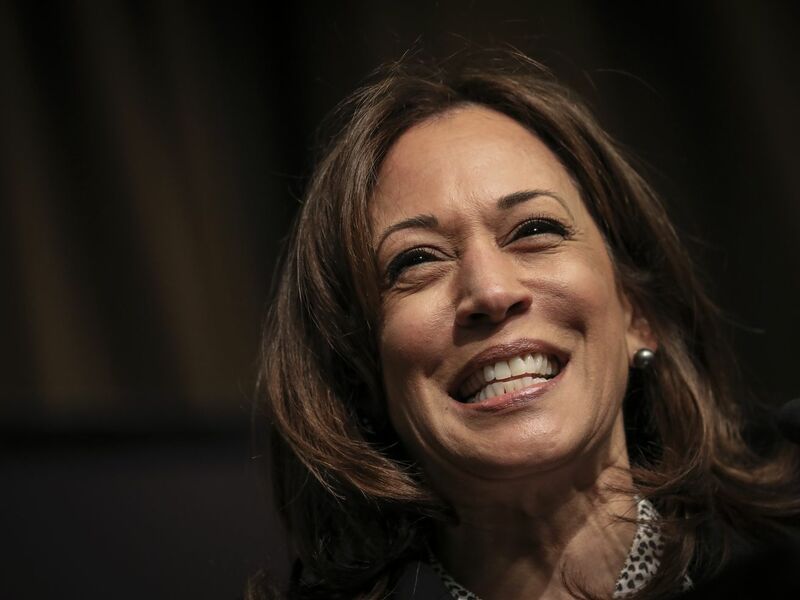 Harris and her husband reported a combined $1.89 million in income in 2018. Harris released returns from 2004, when she was San Francisco’s district attorney, to 2018, when she was a U.S. Senator. The senator has filed jointly with her husband, lawyer Douglas Emhoff, since they married in 2014. The couple reported a combined income of $1.89 million in 2018 and paid $697,000 in taxes at a rate of 37 percent. The majority of the couple’s 2018 income came from Emhoff’s work as an entertainment and intellectual property law partner at the DLA Piper Law Firm. Harris reported a personal income of $157,352 from her work as a US senator and $320,125 in income from her memoir, The Truths We Hold. Last year, Emhoff and Harris donated $27,259 to charity. Prior to her marriage, Harris’ income came mainly from her public service work as a district attorney, California attorney general, and US senator. Harris’ flex on taxes is meant provide contrast to President Donald Trump who, two years into his presidency, has yet to release tax returns. Rep. Richard E. Neale (D-MA), the chairman of the House Ways and Means Committee, sent a letter to the IRS Saturday giving the Trump administration until April 23 to release six years’ worth of the president’s tax returns. The Trump administration has indicated it has no plans to release the returns and has argued that Congress requesting the records represents a violation of the president’s privacy. The Trump administration missed an April 10 deadline to provide the tax returns to the House Ways and Means Committee. Which other Democratic candidates have released their returns? Thus far, Sen. Elizabeth Warren (D-MA), Sen. Klobuchar (D-MN), Sen. Kirsten Gillibrand (D-NY), and Gov. Jay Inslee (D-WA) have all released their tax returns. None of them report as much income as Harris has. Warren, who also filed jointly with her husband, reported $846,394 in income in 2018. Klobuchar has released her tax returns up to 2017, when she reported a combined income with her partner of $299,446. On her most recent returns, Gillibrand reported her Senate salary along with $50,000 in book revenue, the Washington Post reported. Inslee netted $202,912 in income last year. House Democrats passed H.R. Bill requiring all presidential and vice presidential candidates to release tax returns in March. But that law, which would also create a federal election holiday, automatic voter registration, require dark money groups to report their funding, set up public funding of congressional campaigns, and increase same-day voter registration, has not been taken up by the Republican-controlled Senate. Warren, who released her taxes last week, said that she would back Senate legislation requiring presidential candidates to disclose their tax returns. Sen. Bernie Sanders (I-VT) said he will release his tax returns by Monday. Several other Democratic candidates, including Sen. Cory Booker (D-NJ), South Bend mayor Pete Buttigieg, former DHS secretary Julián Castro, and former Texas Congressman Beto O’Rourke have not yet released their tax returns, but have pledged to do so soon. Pope Francis is heading to Ireland in the midst of scandal. It may be his toughest crowd yet. Are Phil Spencer and Kirstie Allsopp a couple and who are the Location, Location, Location hosts married to?